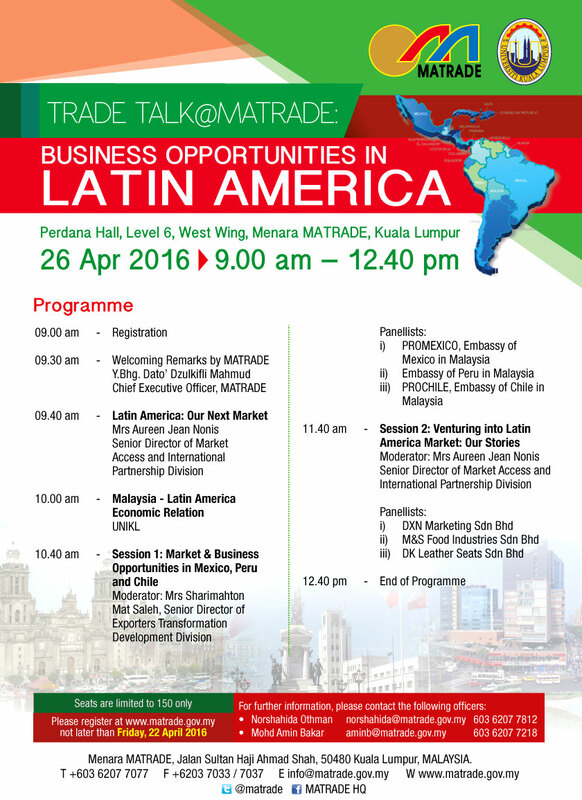 Please be informed that Malaysia External Trade Development Corporation (MATRADE) would like to invite you to participate in the Trade Talk@Matrade: Business Opportunities in Latin America on 26th April, 2016. The objectives of this seminar is to provide a platform to shared insights on the current business environment in Latin America, trade and investment opportunities in Latin America arising from the lifting of sanctions and various other business opportunities that can be explored in Latin America. 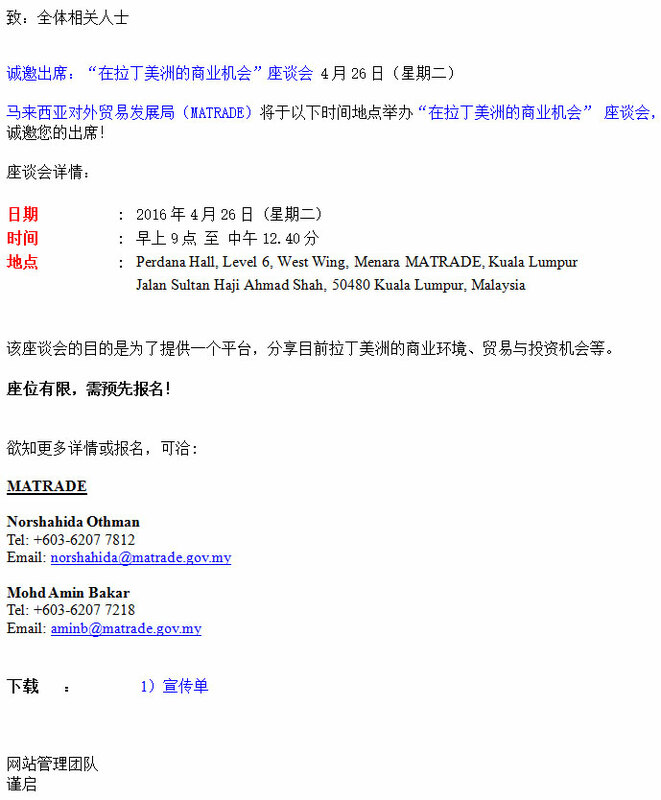 Seats are limited, pre-registration is required!